Will You Thrive, Survive, or Die in 2015? In the coming year, trying something new rather than continuing with business as usual can be the difference between success and failure. This article leverages recent research from InfoTrends to explore how industry leaders are making the most of today’s turbulent market. What are your plans for 2015? Will you continue with business as usual, or is it time to try something new. Here’s a hint… Einstein's definition of insanity is doing the same thing over and over and expecting different results. Print and marketing service providers are shifting from traditional products and services to digital ones. This shift is occurring across the print, advertising, and promotional markets. Although a few companies may be able to remain viable offering the same products and services as before, the vast majority will need to evolve their services to weather the disruption and convergence that is taking place in today’s market. 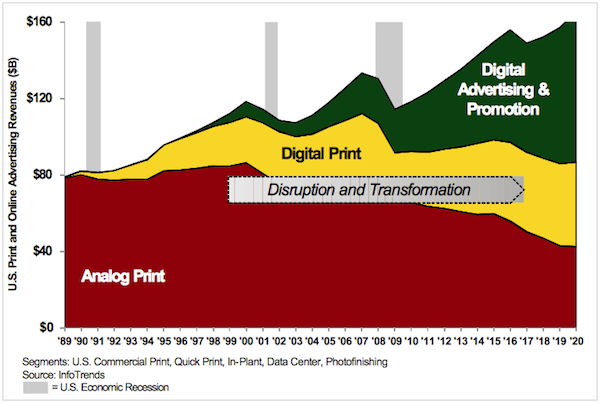 Three specific trends are causing a disruptive transformation in the U.S. print, marketing, and advertising markets. Those of us who have been in the printing industry for a number of years have witnessed several disruptive technologies over the years, and these introductions have changed our businesses forever. These changes started with printing hardware in the early 1990s, when we saw toner-based digital printing erode traditional offset printing markets. Successful black & white inkjet production devices emerged a few years later, then color inkjet production devices further disrupted the market. Although hardware was the first disruptive technology, software arguably proved to be even more disruptive. A short time after digital printing devices began to emerge, software products within the printing industry started to offer workflow functionality. Even more important than the PDF workflow or print MIS software introductions were the functionalities offered by e-commerce software, Internet search and advertising tools, and most recently mobile marketing services. This shift in advertising dollars to the Internet and mobile marketing is acting synergistically with the decline in traditional products and services, forming a one-two punch that is threatening the commercial printing industry. According to the Pew Research Center report entitled State of the News Media 2013, all traditional forms of adverting (e.g., TV, radio, newspaper) are declining, whereas online and mobile ads are increasing. This shift in advertising revenue is critically important to PSPs because a large portion of print volume is related to advertising. Newspaper and magazine inserts, direct mail, catalogs, large format signs, and print collateral are all potential revenue streams for commercial printers. Since stories about shifts in advertising spending don't always appear relevant to certain applications and markets, let’s talk about a specific application and consider how online/mobile channels might change that market. Car dealerships have been using newspapers and PSPs for decades in their efforts to sell cars and car services. In fact, car dealerships and grocery store advertisements proved to be very successful niches for newspaper advertisers for many years. A number of specific vertical markets have been identified over the years, and one of these is car sales and services. The advent of variable data printing has made it easier than ever to target this specific vertical. My friends at PODI (Print on Demand Initiative) often talk about world-class variable data ad campaigns that are focused on car sales and services. 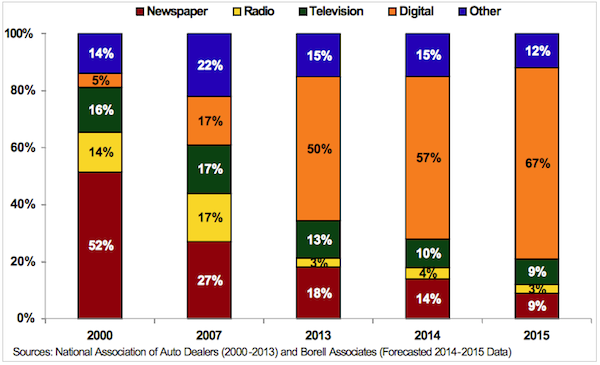 According to an article on the newsosaur blog, the shift in advertising dollars from newspaper, radio, and television to digital is enormous in the automotive sector. These changes can be seen as a problem or an opportunity. They might be a problem if you're a print service provider offering variable data printing services to a car dealership that may consider shifting from print to online or mobile marketing services. On the other hand, an opportunity exists for providers that can develop expertise in paid search services, organic search engine optimization, personalized URLs (pURLs), or QR codes combined with cross-media marketing services. These findings do not mean that printing companies and in-plants are a dying breed. 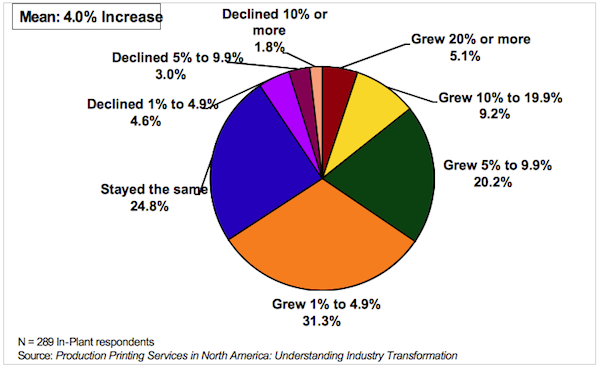 According to an InfoTrends survey entitled Production Printing Services in North America: Understanding Industry Transformation, print service providers saw their revenues increase by an average of 4.1% between 2012 and 2013. Although about a quarter of PSPs reported that their revenues had remained flat, nearly 66% saw some kind of increase. Meanwhile, less than 10% witnessed a revenue decline. Figure 3: How did the revenues/budget within your print production department change between 2012 and 2013? Today’s leading PSPs are using a number of strategies to expand their revenues in today’s market, including allocating more resources to sales and marketing, automating production workflows, offering more variable data printing services, having a higher ratio of digital devices, achieving higher utilization rates, and offering more finishing services. As outlined in the Figure below, the viability of printing as a service is not limited to commercial printers. In fact, InfoTrends’ research shows an almost identical pattern within the in-plant printing market. Like PSPs, in-plants are also using a host of strategies to improve their likelihood of success. These include reducing production costs, improving efficiency, measuring/benchmarking performance, and expanding to new print applications and value-added services. 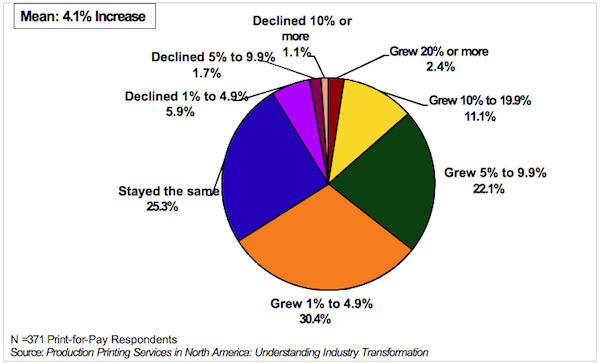 Figure 4: How did your company’s revenues change between 2012 and 2013? Do you understand how your customers’ needs are changing? Have you ever measured and benchmarked your performance against the leading companies? How will you compete in the coming year as your competitors add new products and services? What are you going to do differently to make 2015 better than 2014?